10 am - 1:30 pm - Class is full! 3 pm - 6:30 pm - Class is full! 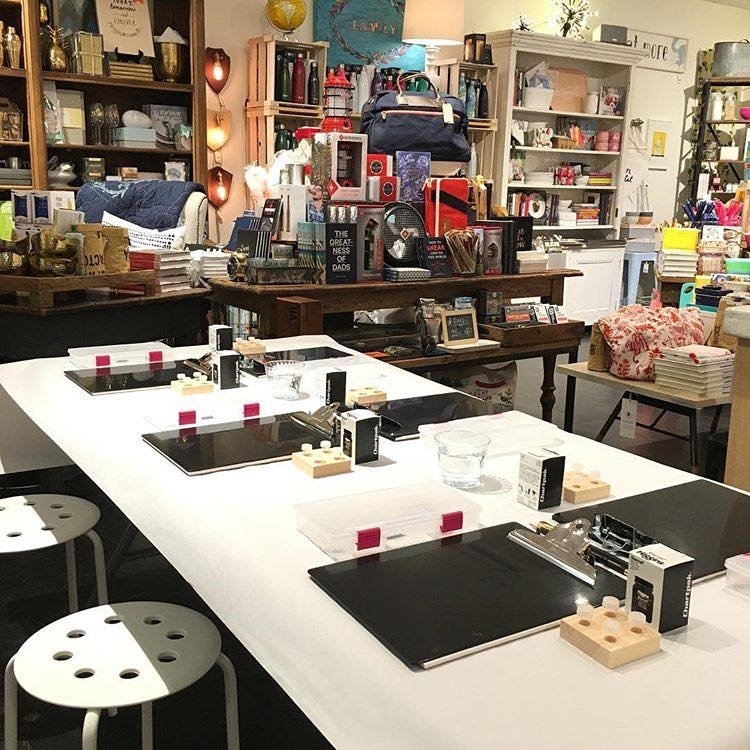 As featured in both Southern Living and Washingtonian, as well as Washington Post Express, spend some time playing with pens and ink! Owned by tastemaker Kohli Flick, Becket Hitch stocks the most gorgeous home goods in the Baltimore area and Michele will be returning to teach there in the new year. She will show you how to use traditional materials (pointed pen calligraphy nibs, an oblique pen holder and real ink) to create gorgeous hand-lettering with a modern twist. You’ll learn how to create the nuanced thick and thin lines that set pointed pen lettering apart from regular handwriting. Plus, you’ll go home with all the materials you’ll need to continue practicing and showing off your new lettering skills.